The full story of how NZ police arrested the Christchurch gunman. The full story of how police arrested the Christchurch gunman, & more in News in 5. 1. The full story of how police arrested the Christchurch gunman. Police officers who dragged an alleged gunman from a car following shootings at two Christchurch mosques had come straight from a training session on how to deal with armed offenders. 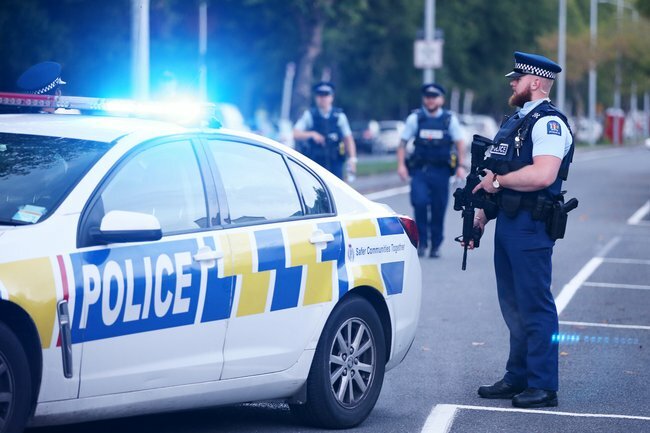 The New Zealand Herald reported the officers, who are both based in small towns but were in Christchurch for the training, heard there was an active shooter on the loose and took to the streets to stop him. The officer’s boss, rural response manager Senior Sergeant Pete Stills, said they were at training when the call came through, so they got into a police car and decided to skirt the city and follow a route they believed the shooter might take. The officer’s confirmed the car registration and did a U-turn. They weighed up a pursuit which could’ve caused a fatal crash or risked the offender getting away to hurt further innocent people. They decided to move quickly and immobilise the car by ramming the gunman’s car on the driver’s side. Footage supplied to the Herald shows the officer’s dragging the man out of the passenger side. There were “high risk” items in the back of the car. Once the gunman was contained, the officer’s alerted other police to the situation. “They wouldn’t have been scared, we practice for this stuff – to be honest, it was lucky two officers with that amount of service and experience were there,” Stills said. The two officers involved are unable to comment on the apprehending as the investigation is ongoing, but many, including Police Commissioner Mike Bush, have hailed them as heroes. “They’re pretty humble guys, certainly ‘hero’ is not a word you’ll hear either of them use,” Police Association president Chris Cahill said. He said the officers maintained they were just doing their job and what any other cop would’ve done. 2. Ethiopian Airlines crash had clear similarities with Lion Air crash. Ethiopia says the crash of an Ethiopian Airlines plane that killed 157 people had “clear similarities” with October’s Lion Air crash, according to analysis of the black boxes recovered from the wreckage of the March 10 disaster. Both planes were Boeing 737 MAX 8s, and both crashed minutes after take off after their pilots reported flight control problems. Concern over the plane’s safety caused aviation authorities worldwide to ground the model, wiping billions of dollars off Boeing’s market value. “It was the same case with the Indonesian (Lion Air) one. There were clear similarities between the two crashes so far,” Ethiopian transport ministry spokesman Muse Yiheyis said on Sunday. In Washington, US officials said the US Federal Aviation Administration and US National Transportation Safety Board have not validated the data yet. The analysis of the system called MCAS (Maneuvering Characteristics Augmentation System) understated the power of this system, the Seattle Times said, citing current and former engineers at the FAA. The FAA also did not delve into any detailed inquiries and followed a standard certification process on the MAX, the paper reported citing an FAA spokesman. The FAA declined to comment on the Seattle Times report but referred to previous statements about the certification process. It has said the 737-MAX certification process followed the FAA’s standard certification process. The report also said both Boeing and the FAA were informed of the specifics of this story and were asked for responses 11 days ago, before the crash of the Ethiopian Airlines 737 MAX last Sunday. Last Monday, Boeing said it would deploy a software upgrade to the 737 MAX 8, a few hours after the FAA said it would mandate “design changes” in the aircraft by April. A Boeing spokesman said 737 MAX was certified in accordance with the identical FAA requirements and processes that have governed certification of all previous new aeroplanes and derivatives. The spokesman said the FAA concluded that MCAS on 737 MAX met all certification and regulatory requirements. 3. “They were a disgrace.” Jacinda Arden condemns Fraser Anning’s comments about Christchurch. New Zealand has condemned as a disgrace independent Australian senator Fraser Anning’s comments that the Islamic community was to blame for Friday’s Christchurch mosque massacre. Australia’s major parties are planning to formally censure the senator when parliament returns in April and Prime Minister Scott Morrison says he should face “the full force of the law”. However, she said it was up to Australians to decide if he was fit to be an elected representative. Government Senate leader Mathias Cormann and his Labor counterpart Penny Wong will jointly move a motion to censure Senator Anning “for his inflammatory and divisive comments … which do not reflect the opinions of the Australian Senate or the Australian people”. They will ask the Senate to call on all Australians to publicly condemn actions and comments designed to incite fear and distrust. “You who want to practice in the name of free speech hate speech, you who hide behind liberty to practice evil, well you have created this swamp of hate,” he told reporters in Melbourne. A 17-year-old boy was arrested after allegedly throwing an egg at Senator Anning at a speaking event at Moorabbin in Melbourne on Saturday. Video of the incident shows the senator reacting violently towards the boy. The teenager has since been released pending further inquiries. Mr Shorten said it was a silly thing to have done. “It doesn’t matter what rubbish the politician was spouting, you don’t want to give this foolish politician, this hurtful politician any sense of the moral high ground because he has none,” he said. Senator Anning used his Facebook page to thank those who had supported him. He made several more anti-Islamic posts and complained about “the backlash of the establishment media and globalist politicians”. 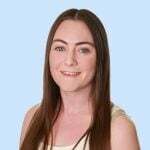 Senator Anning came to the Senate in late 2017 to replace One Nation’s Malcolm Roberts, who was found to have been a dual citizen and ineligible for election. He was roundly condemned after invoking the phrase “final solution” in his first speech to parliament – a reference to the Holocaust – and again after attending a far-right rally in Melbourne where participants made Nazi salutes. Senator Hanson – who has previously described Islam as a “disease we need to vaccinate ourselves against” – wrote on Facebook that while the shooting spree in Christchurch must be condemned, she was concerned that “the damage caused to conservative views on immigration by alleged gunman, Brenton Tarrant will drive debate underground”. 4. The family of Christchurch terrorist Brenton Tarrant have apologised for his deplorable actions. Relatives of an Australian man charged with murdering Muslim worshippers at two mosques in New Zealand are devastated their own could partake in a massacre. “It’s just so much of everything to take in that somebody in our family would do anything like this,” the 81-year-old woman told Nine News in the NSW city of Grafton on Sunday. Tarrant reportedly went to Europe after his father died of cancer in 2010 and came back a different man, Mrs Fitzgerald said. His uncle Terry Fitzgerald apologised on behalf of the family for his nephew’s alleged murderous act. Tarrant spent most of his time on computer games during his high school days rather than chasing girls, his grandmother added. His sister and mother have been put under police protection after Friday’s attack. Islamic Council of Victoria spokesman Adel Salman turned his thoughts to the many victims of Friday’s attack including the alleged gunman’s relatives. “It is a horrendous massacre and has many many victims … even the family of the alleged killer. My heart goes out to them as well,” he told AAP. West Australian Imam Yahya Ibrahim also prayed for the families of the innocent victims killed on Friday’s attack, and the gunman’s relatives. “May his family find comfort in the fact that as a Muslim, as Muslims I speak on behalf of my community, that our heart is open to them,” he said in Perth on Sunday. Tarrant will be prosecuted in New Zealand over the Christchurch mosque attacks that killed 50 people. 5. Milo Yiannopoulos’ Australian tour has been cancelled after his remarks about Christchurch. Far-right British commentator Milo Yiannopoulos will be forced to cancel an Australian tour after a visa was revoked over his remarks about the New Zealand terror attack. 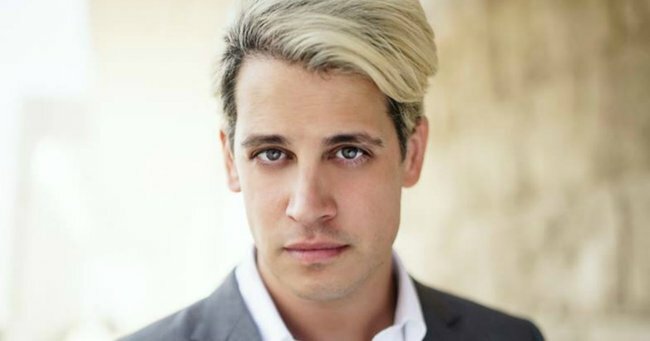 Immigration Minister David Coleman confirmed Mr Yiannopoulos would not be able to enter the country for his tour, despite granting him the visa earlier this month. "Milo Yiannopoulos will not be allowed to enter Australia for his proposed tour this year," Mr Coleman said on Saturday. "Mr Yiannopoulos&apos; comments on social media regarding the Christchurch terror attack are appalling and foment hatred and division. "The terrorist attack in Christchurch was carried out on Muslims peacefully practising their religion. It was an act of pure evil." Mr Yiannopoulos described Islam as a "barbaric, alien" religious culture on social media in the wake of Friday&apos;s terror incident, prompting the government&apos;s latest decision. Mr Coleman had previously agreed to the visa after conservative MPs put pressure on him to override the Department of Home Affairs&apos; advice to ban Mr Yiannopoulos. Mr Yiannopoulos took to social media to use his ban as proof for why people should never temper speech for the "scolds, nannies and censors of the elite establishment". "I&apos;m banned from Australia, again, after a statement in which I said I abhor political violence," Mr Yiannopoulos wrote. "Coleman and his party deserve to be annihilated at the next election for their betrayal of such fundamental western values as free speech and for cravenly folding to pressure from the left." 6. "You liars." Paris Jackson rubbishes claims she attempted suicide following Leaving Neverland. A story on the TMZ website linked Jackson&apos;s hospitalisation to the release of the documentary, which aired in two parts on Channel 4 at the beginning of the month. Anyone needing support is urged to contact beyondblue (1800 22 4636) or Lifeline on 13 11 14.